I had a problem with my motorcycle’s turn signals not working. First they only worked sometimes. Later on in the week my turn signals only worked after the motorcycle was left alone for a few days. I noticed sometimes the turn signals worked if I revved the engine a all the way up to the rev limiter. I feared something electronic and assumed for the worst. It turned out to be a quick and easy fix. I was worried about a split wire. My battery wasn’t an immediate concern as myLeft turn signals were working perfectly, only my right side turn signals were effected. I tried to remember if I had extra fuses. 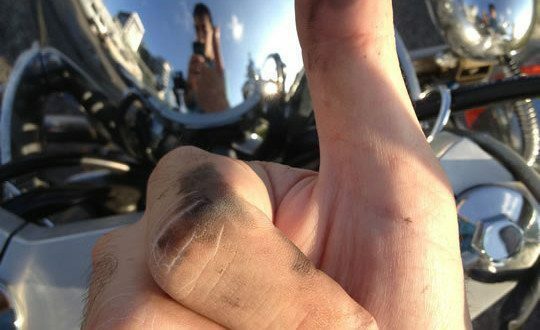 It’s the beginning of the season, my memory and motorcycle troubleshooting skills were pretty rusty. When I removed the front signal and hit the switch the rear turn signal came on, though it didn’t flash. That little light hadn’t turned on in over a week and I was fed up with hand signalling. This was exciting. 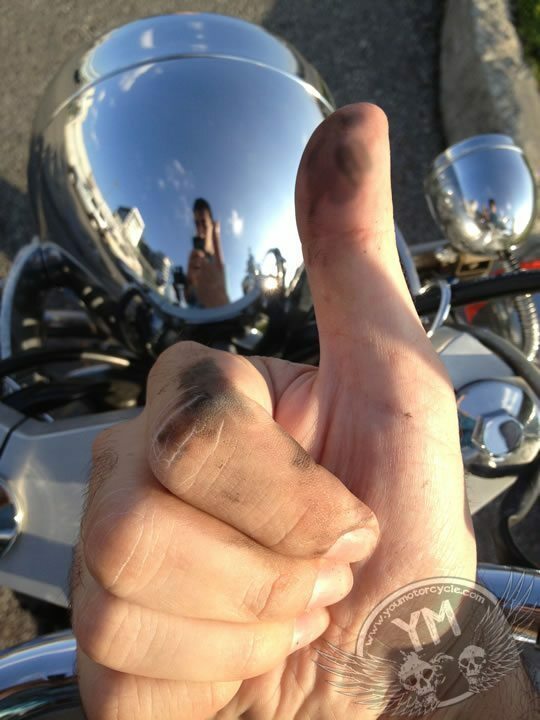 I put first bulb back in while the motorcycle was running, hit the turn signal switch, and the signals lit up as if they were brand new! UPDATE: I suspect there was some moisture or a bad negative ground, as the problem came back after my next ride. I’m going to go back in there today with some WD-40 or some grease, we’ll see what I can find, but hopefully that’ll be the end of my problem. Doctor, doctor, gimme some news! My motorcycle’s got the turn signal blues! Right side signals work fine. Left side front comes on, doesn’t flash. Replaced bulb on left. Dead. Replaced same bulb in right. Flashes. Checked power to right housing with tester. Power. Checked power to left housing with tester. No power. I take it flasher is fine if right side still flashes. I take it fuse fine if all three other lights come on. So – short at fusebox? Relay? How does relay work? Checked the wires for a cut somewhere or a bad ground? Checked the bulbs? Wires ok? Connections good/no corrosion?